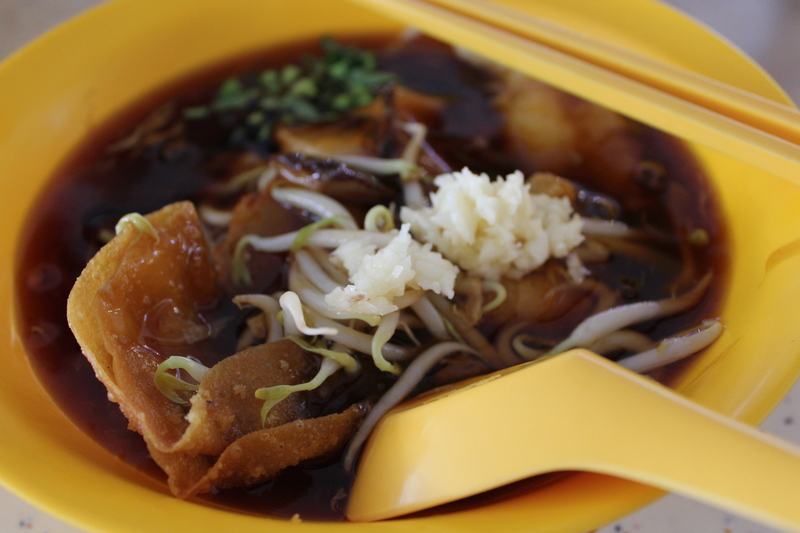 Lor Mee is my favourite comfort food whenever I’m in a hawker centre, and I was craving for exactly that one afternoon. Dad was free for lunch so we popped over to our favourite place for it, Tiong Bahru Market & Food Centre. 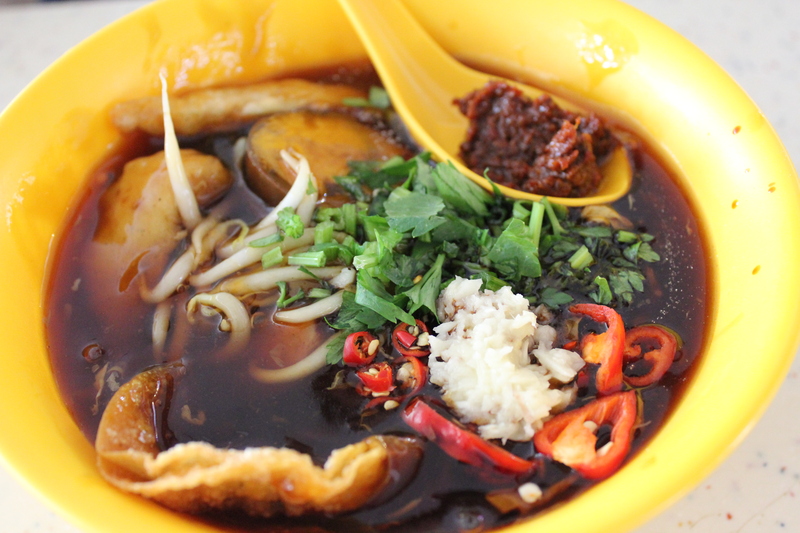 The auntie heaps a dearth of fried items into the yellow bowl and smothers it all with a thick dark brown sauce with streaks of egg. ” Don’t forget to put the garlic!” She instructs my dad in Hokkien as he reaches out for the other myraid of condiments like chopped spring onion, chilli padi, pepper and vinegar. Garlic+ vinegar, the more the merrier I say. The bowl for the big portion is bigger and deeper, so it supposedly carries more noodles and notably a few more ingredients such as half a boiled egg. The fried items are crisp and delicious, douse it in some of the gravy and it’s perfect. My favourites would have to be the well battered fish and the wanton that gave such a loud crunch even after being soaked in the thick gravy. The gravy itself was not too starchy, making it less heavy and more enjoyable. As for me, I would have prefered it to have more vinegar- no worries, just DIY at the counter. 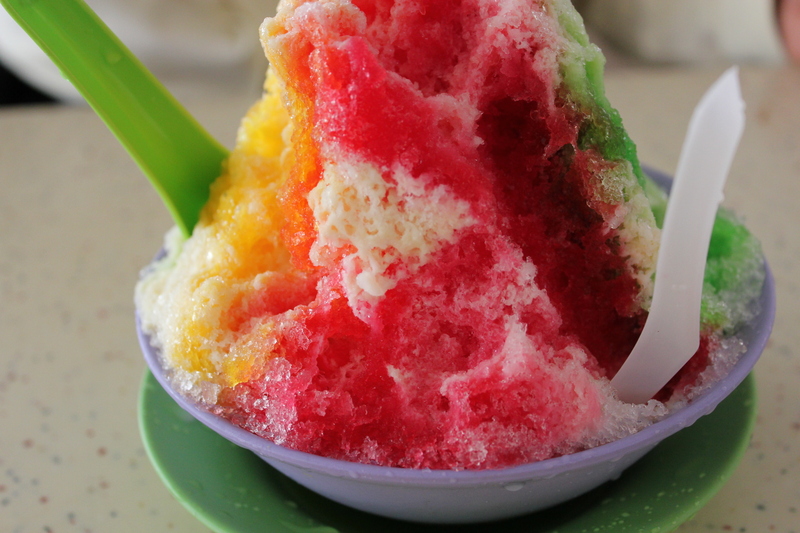 End it off with the local favourite just a few stalls away: ice kachang! Syrup is a little sweet but ingredients are chock full at the bottom. Thumbs up for that. Aah, comfort food at its best.